Could you imagine creating a drawing from someone else’s memory? 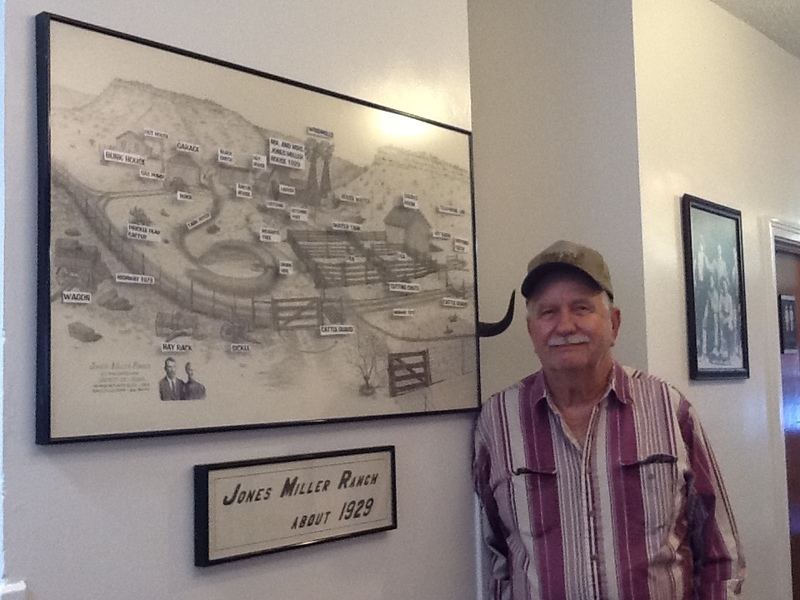 In 1994, Eugene Miller, known to the locals as “Jake” asked Bob Wallace to draw the old Jones Miller Ranch as it was in 1929. He had only the memories from Mr. Miller to go by. Bob Wallace used all of his God-given talents to create what was in Jake’s mind. The two men formed a new friendship with countless memories relived as “Jake” shared his memories. It took six months and lots of patience, but Bob Wallace was up to the task and his work of art is now in Crockett County Museum. We caught this picture of Bob Wallace when he dropped by the museum recently. He is a retired art teacher from Ozona Jr. High (before it was called middle school). He was also a former principal for CCCSD in Ozona where he and his wife taught for 28 years. We will see you at the museum soon!